Location: Richard Petersens Plads B321, Office 012. EEG in the Classroom. Smartphone EEG brain scanner. Brede search engine. Keynote - Intelligent Systems Conference (IntelliSys 2018) Sep 6, 2018 London, UK. Tutorial - Machine Learning for Signal Processing (MLSP 2018), Aalborg Sep 17, 2018. Psychology Colloquium: “EEG in Wild” (Zurich, Mar 20, 2016) University of Zurich pdf. Børsens kronik Tuesday May 15, 2018 (n Danish). Politikens Kronik Fredag 9. august 2013 (in Danish). Indeni, udenpå (udvidet version, med referencer). The Innovation Fund Denmark funded national partnership ”Danish Center for Big Data Analytics driven Innovation (DABAI)”. Politikens Kronik Monday12. november 2001 (in Danish) about the 3-year-old Google and the potential of machine learning and understanding. 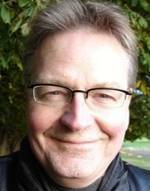 Brief biography: LKH has a PhD in physics (University of Copenhagen, 1986). He worked on industrial vision/neural nets from 1987-1990, with Andrex Radiation Products A/S. With the Technical University of Denmark since 1990, full professor 2000. 2008- Head of Section, Cognitive Systems, DTU Compute, Technical University of Denmark. 2011 Excellence professorship, Univ. Carlos III Madrid, Spain. Member The Danish Council for Independent Research Technology and Production Sciences (FTP) 2011-2014. (Download full CV and publication list updated Mar 2015). D. J. Jacobsen, L. K. Hansen, K. H. Madsen: Bayesian Model Comparison in Nonlinear BOLD fMRI Hemodynamics. Neural Computation 20:738-755 (2008). Journal of Machine Learning Research 7:2585—2602 (2006). M. Moerup, L. K. Hansen, C. S. Hermann, J. Parnas, S. M. Arnfred: Parallel Factor Analysis an exploratory tool for wavelet transformed event-related EEG. NeuroImage 29(3): 938-947 (2006). M. McKeown, L.K. Hansen, and T.J. Sejnowski: Independent Component Analysis for fMRI: What is Signal and What is Noise? Current Opinion in Neurobiology Vol.13(5) 620-629 (2003). P.A.d.F.R. Hojen-Sorensen, O. Winther, and L.K. Hansen: Mean Field Approaches for Independent Component Analysis. Neural Computation 14:889-918 (2002). S.C. Strother, J. Anderson, L.K. Hansen, U. Kjems, R. Kustra, J. Sidtis, S. Frutiger, S. Muley, S. LaConte, and D. Rottenberg: The Quantitative Evaluation of Functional Neuroimaging Experiments: The NPAIRS Data Analysis Framework. NeuroImage 15(4):747-771 (2002). N. Lange, S.C. Strother, J.R. Anderson, F.AA. Nielsen, A.P. Holmes, T. Kolenda, R. Savoy, L.K. Hansen: Plurality and Resemblance in fMRI Data Analysis. NeuroImage, 10(3): 282-303 (1999). L.K. Hansen, J. Larsen, F.AA. Nielsen, S.C. Strother, E. Rostrup, R. Savoy, N. Lange, J.J. Sidtis, C. Svarer, O.B. Paulson: Generalizable Patterns in Neuroimaging: How Many Principal Components? NeuroImage 9: 534-544 (1999). L.K. Hansen and P. Salamon: Neural Network Ensembles. IEEE Transactions on Pattern Analysis and Machine Intelligence 12: 993-1001 (1990). More preprints/papers from the publication repository. Return to Section for Cognitive Systems homepage.